Royal Ballet Principal Marianela Nuñez delights as Princess Aurora, with Vadim Muntagirov as her Prince Florimund, in this performance of a timeless classic. Marius Petipa’s The Sleeping Beauty holds a special place in The Royal Ballet’s repertory, with its vibrant sets and glittering costumes and featuring such iconic moments as the Rose Adage, the Vision pas de deux, the exuberant wedding celebration and the charming fairy-tale guests, all danced to Tchaikovsky’s richly layered music – one of the most beloved ballet scores of all time. 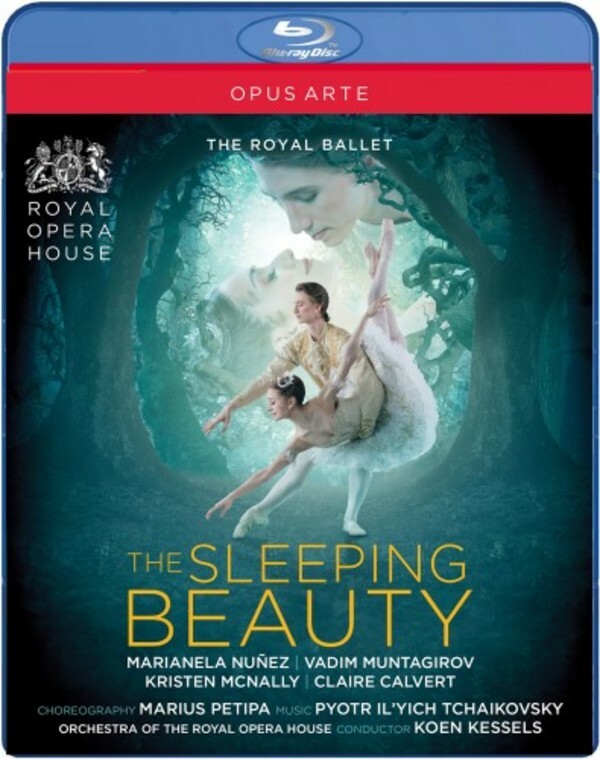 This Sleeping Beauty captures all the magic and virtuosity that ballet has to offer.